McCain could never tell us that the US has been attacking one country after another since the beginning of time. “Washington organized the overthrow of Syria’s government in 1949. In 1953, the US and Britain colluded to overthrow Iran’s popular democratic government. In 1954, the US overthrew the government of Guatemala. There followed intervention in Lebanon in 1958. Three years later came the infamous Bay of Pigs invasion and over fifty attempts to assassinate Fidel Castro. “In 1965, the US invaded the Dominican Republic and overthrew its regime. 1973 brought the US-backed coup against Chile’s Marxist government. Nicaragua’s leftists were next on Washington’s hit list. There was masked intervention in Haiti, then a bombing and sabotage campaign in Baghdad, Iraq. A failed attempt to overthrow Iran’s elected government and more machinations in Syria and Libya, followed by outright invasions. “The US may even have tried to overthrow France’s president, Charles de Gaulle. Lately, the US helped put Egypt’s bloody dictator in power, overthrowing the democratic government in the process and tapped the phone of close ally, German Chancellor Angela Merkel. If McCain is serious, then much of the entire world would take him and the Neocons and place them behind bars for the rest of their natural lives. They would probably deserve public execution for the crimes they have committed over the past four decades. The Washington Post has been blaming Russia for virtually any bad thing that happens in America for months, and it is no accident that they quickly produced the fake news that Russia hacked a Vermont utility computer. It is quite obvious that NWO agents are just losing moral and intellectual power, and it is quite obvious that they are trying their best to gain some trust among the gullible. It is probably too late, since people everywhere are waking up. Perhaps NWO agents are scared. Perhaps they think that Russia will cut them to pieces again this year. 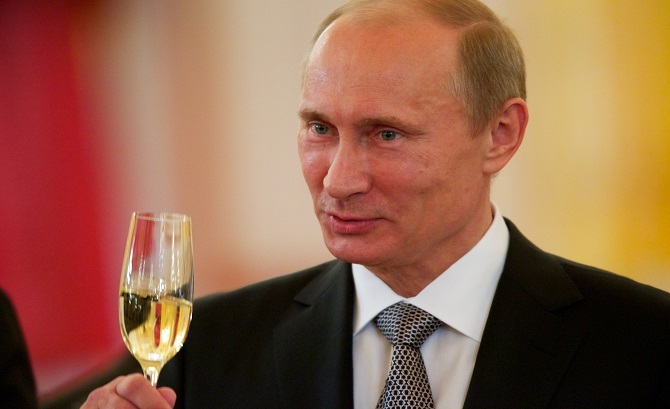 Two cheers for Russia. Juliet Eilperin and Adam Entous, “Russian operation hacked a Vermont utility, showing risk to U.S. electrical grid security, officials say,” Washington Post, December 31, 2016. “’We have to make sure there is a price to pay’: John McCain calls Russia’s hacking an ‘act of war’ and demands stronger sanctions,” Daily Mail, December 31, 2016. Ellen Nakashima and Juliet Eilperin, “Russian government hackers do not appear to have targeted Vermont utility, say people close to investigation,” Washington Post, January 2, 2016.